Though the Treaty of Shimonoseki made Taiwan a possession of Japan in 1895, the construction of the German consulate proceeded as planned. Before the German Empire was established in 1871, Germany, a confederation of a number of independent states, was a relatively late bloomer on the global stage. Since Taiwan opened its ports for foreign trade in mid-19th century, German trade companies began establishing presence on the island. It was a time when Southern harbor cities such as Dagou (Kaohsiung) and Anping (Tainan) were preferred over their Northern counterparts, Tamsui and Keelung, for trading business. Among all the merchant houses popping up in the Southern cities, Julius Mannich & CO., established in 1877 and named after its north-german founder, is one of the most famous and well-preserved building. 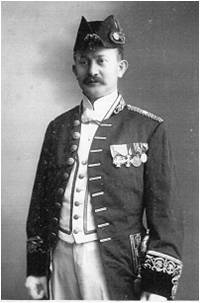 In 1890, Dr. Constantin Merz was designated to Southern Taiwan as deputy consul. Before then, the British Consulate covered German foreign affairs in Taiwan. While Dr. Merz settled in Dagou and Anping for business, the German government decided to establish its own consulate in Taipei, with Dr. Merz as the assigned consul. 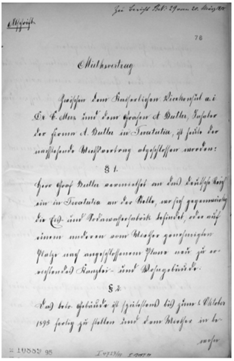 Though the Treaty of Shimonoseki made Taiwan a possession of Japan in 1895, just about when Dr. Merz was appointed to Taipei, the construction of the German consulate proceeded as planned, with Arthur von Butler, a German businessman, in charge. 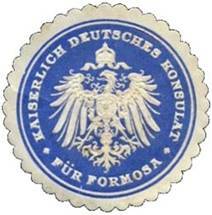 On Oct.13, 1899, the German government bought the land and the building from him. 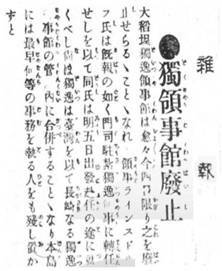 During the Japanes colonial era, international trading became challenging in Taiwan. Businessmen and representatives from overseas left in droves. 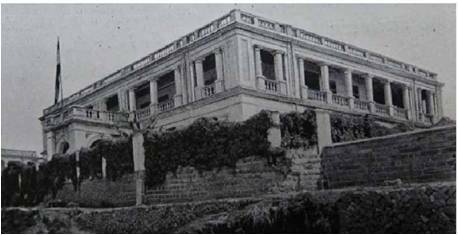 The German Foreign Office closed the Consulate in 1908, and sold the building to the Japanese governemnt, which later became the mansion of the president of the Taiwan Governor-General Office Medical School. In 1940, it became a costum office. Since 1957, the buidling was no longer found on the map. In 1969, Zhong Xiao Junior High School was built on the spot.